Group of CCC boys from Idaho just arrived in camp near Andersonville, Tennessee. The CCC units are to assist in the reforestation work on the Clinch River watershed above the Dam. circa 1933. 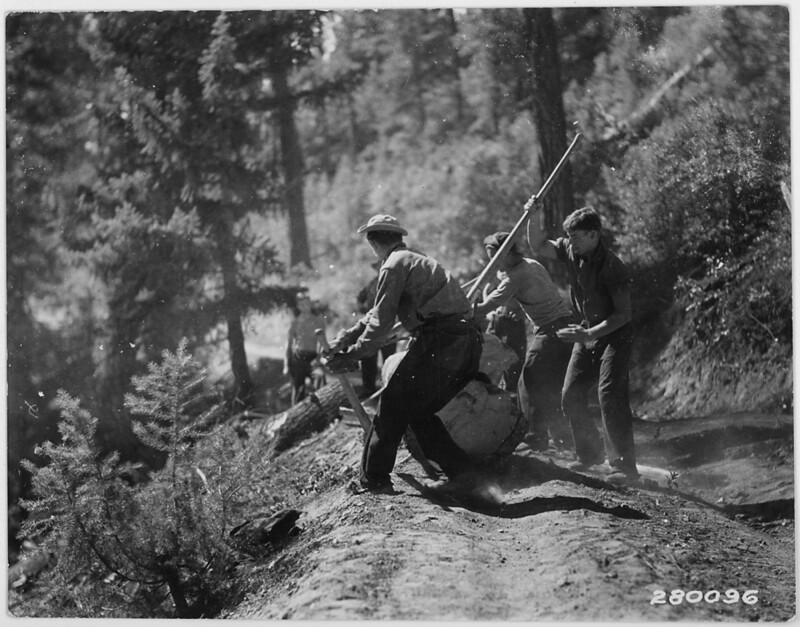 Civilian Conservation Corps in Idaho, Boise National Forest circa 1933. Growing up I heard how my grandmother, Mary (Lewis) Claywell had a dream 'telling' her that her brother was killed in a logging accident. Later the family learned she was correct that her brother, Bennie, was dead at the age of 25. 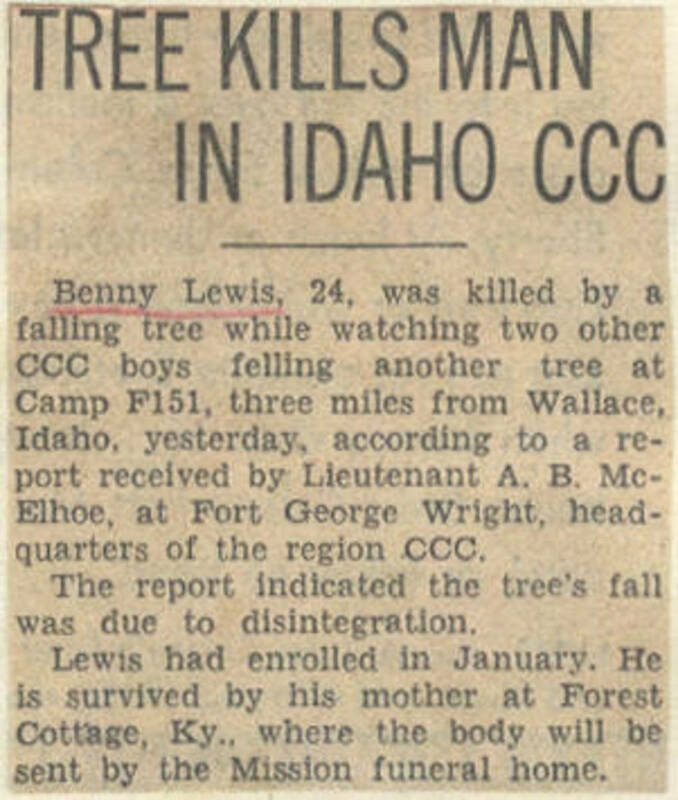 Sometime before December, 1934 Bennie Lewis left the small community of Forest Cottage in Cumberland County, Kentucky and joined the Civilian Conservation Corps. These camps, a significant part of the New Deal legislation created by President FDR, offered a way out of the Great Depression and poverty for many unemployed young men. 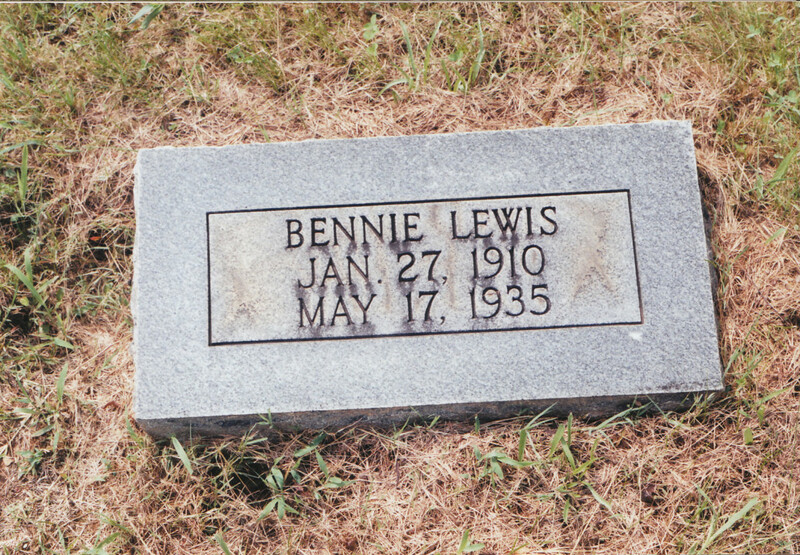 Bennie, who turned 25 on January 27, 1935 was assigned to Company 587 and worked in at least two states: Idaho and California. 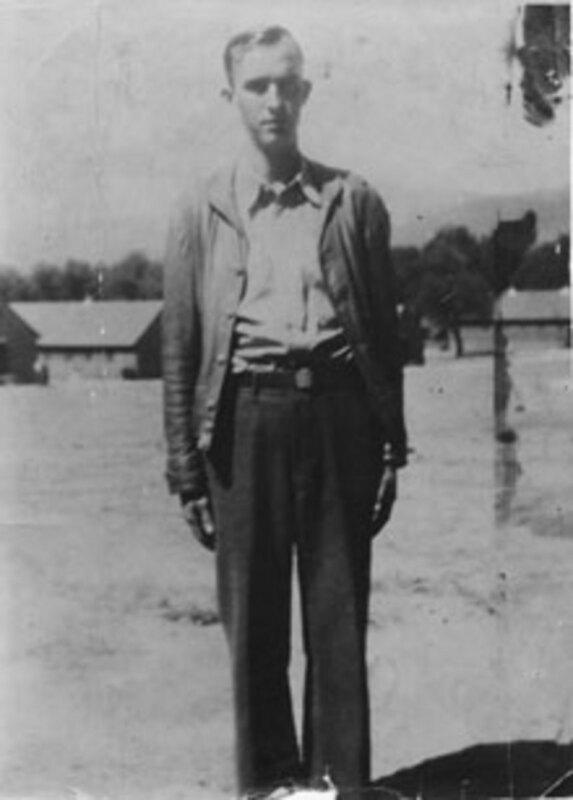 As a CCC member, he was required to undergo a two-week intiation in a miliary-styled basic training camp. He earned $30 per month and the rules of the program dictated that $25 be sent home to his family. In one letter, he asks his mother to send him $10, if she can spare it, so he can purchase a leather coat. "…how may this find you all. Well is my wishes, as for me fine and dandy. Yet it's snowing like everything here. It's the first snow I have seen falling since last winter -- as a year ago -- so it seems like old Ky..."
"Say Kid wait till I come home and we will have a real time. Don't git disgusted and say you had rather be away from home, for there is no place like home." Newspaper clipping announcing his death. Even though it only mentions his mother, he was also survived by his father and several siblings, including my grandmother. Read my review of The Chronicling America newspaper database project headed up by the Library of Congress. 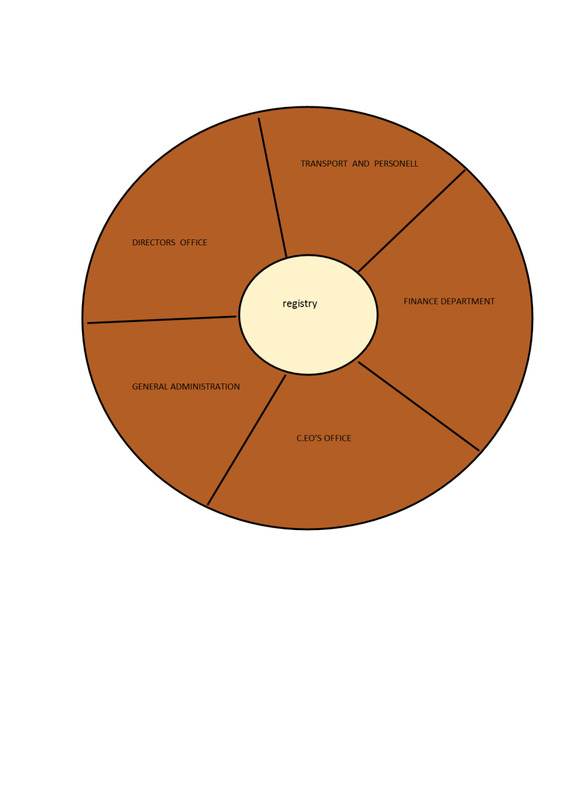 It is very possible that you can find family-related content on the site. 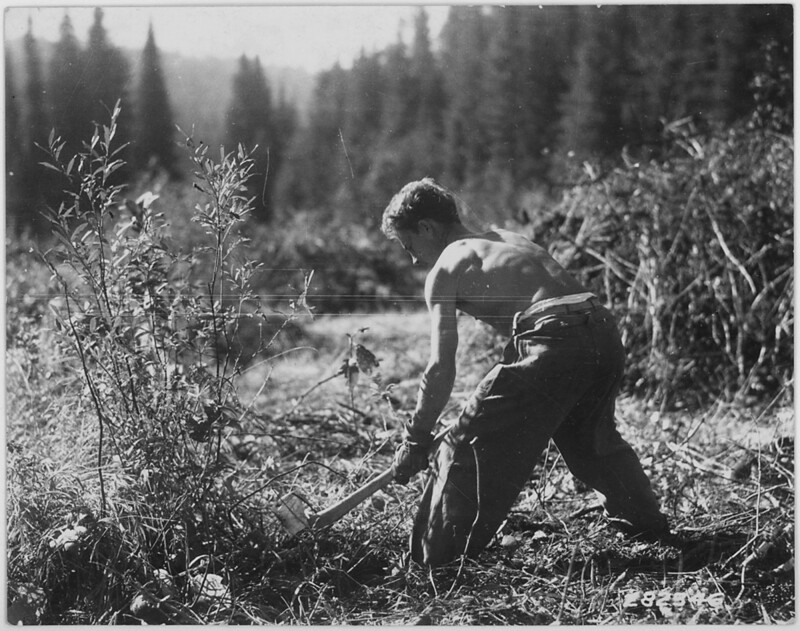 The CCC was often called the "Roosevelt's Tree Army" because of the Corps emphasis on working in timber. The organization was open to healthy 18 to 26 year old unemployed and unmarried U.S. male citizens. 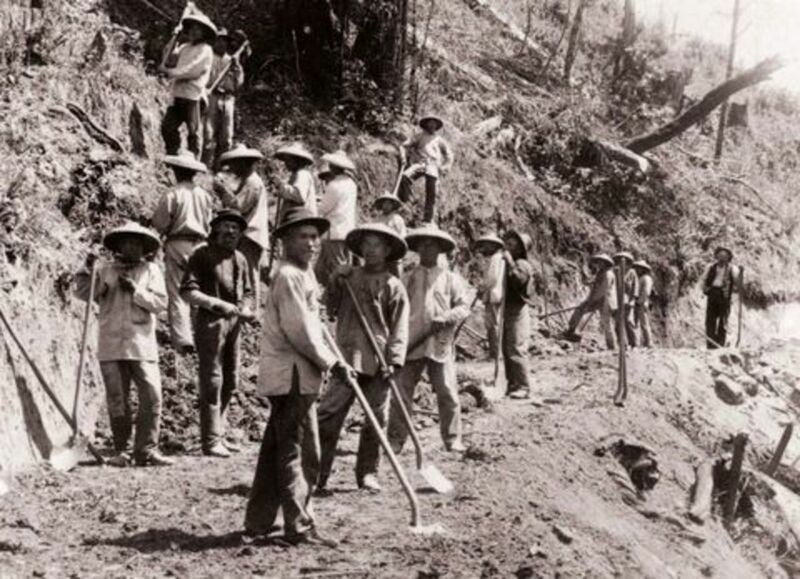 Work in the camps was physically demanding. Enrollees agreed to a minimum 6-month enlistment so Bennie would have been nearing the end of a term. Based on the dates of his letters, he was most likely in his second -- or possibly third term since enrollees were permitted to rejoin. The program operated in camps, similar to a military installation, under the guidance of the Departments of the Interior and Agriculture. Participants, like Bennie, fought forest fires, cleared and maintained roadways, re-seeded pasture land and implemented soil erosion methods. The men also built wildlife refuges, fish-rearing facilities, water storage basins, animal shelters, bridges and campground facilities. Although the program ended in 1942 so the funding could be diverted to the war effort, between its inception in 1933 to its closing in 1942, the CCC employed more than 3 million men. 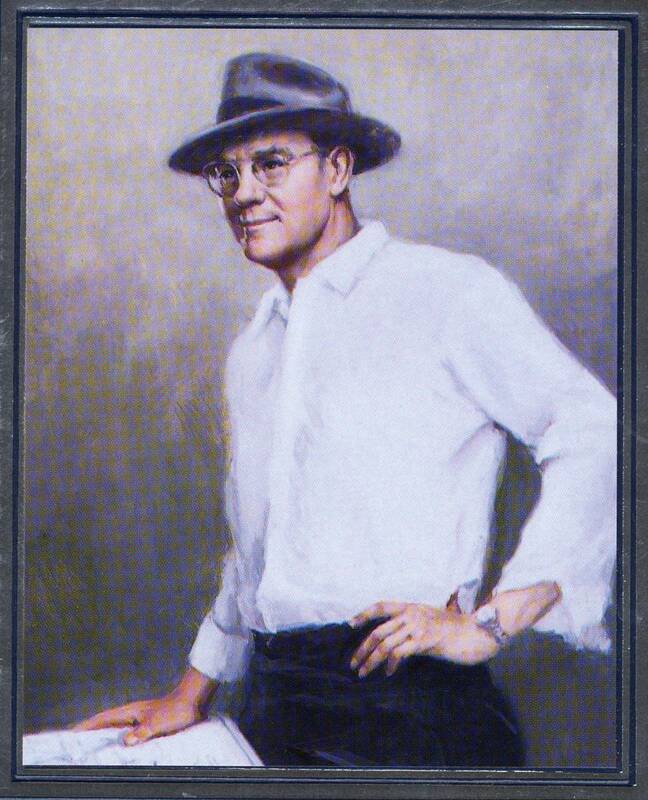 During the New Deal era, the CCC was the one element of the New deal initiative above reproof. It was popular within so many segments of the country that criticism of the program rarely surfaced. Part of its popularity was due to the fact that politicians could use the camps to bolster their standings and career. Camps located inside one's district meant work and income for its constituents. Republicans as well as Democrats quickly seized upon this reality and worked to get the camps located inside their states. Hundreds of camps were created throughout the country. 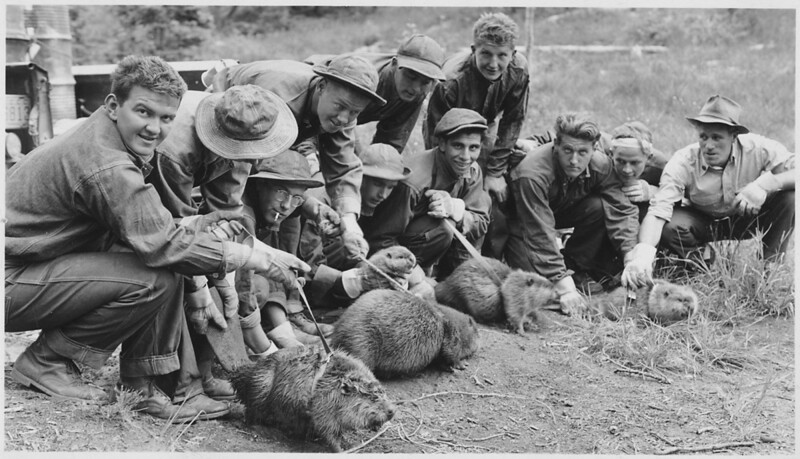 The Civilian Conservation Corps, 1933-1942: A New Deal Case Study on the National Park Service website further explains their appeal. the officers, men and attached technical personnel of CCC company 731, who have been stationed in Attwood since May 1934. Not only has this organization benefited the community in a material way by its progress on the work project, but all mentioned have shown by their good conduct and personality that they merit the highest praise as men and public-minded citizens. We know that there is a place in this community for the organization as long as the Government will permit it to remain…"
The economic benefit of CCC work reached far beyond the boundaries of the camp. During the 1935-1936 fiscal year alone more than $120 million was allocated to the families of enrollees. Coming up with a definitive number of the people who died is difficult, but safety was definitely a major issue in the camps, especially in the first year. 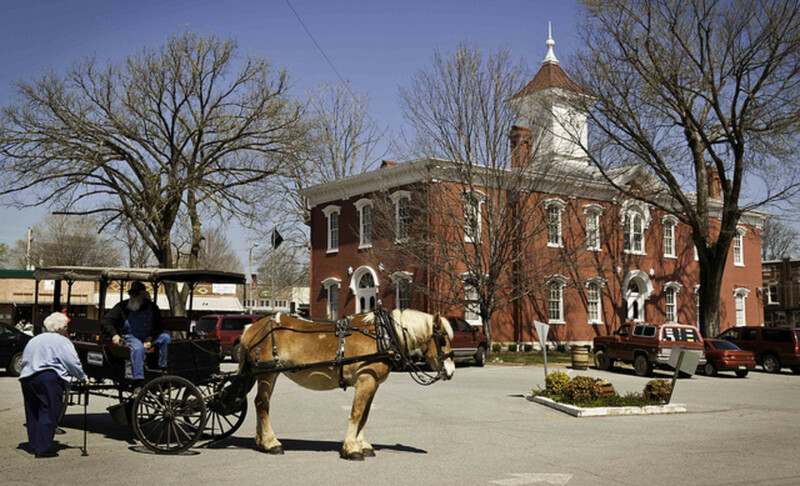 Many accidents were the result of the men being in unfamiliar situations and surroundings. 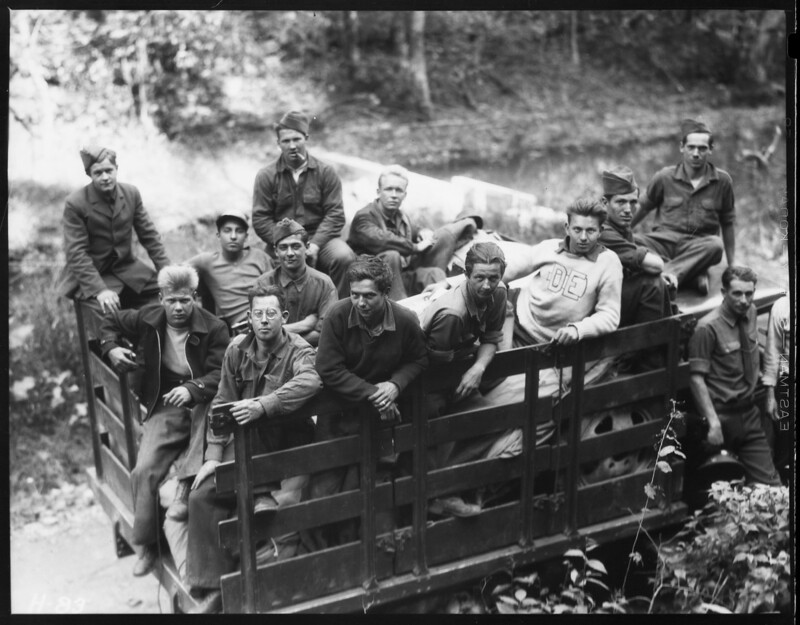 The CCC Chronicles: Camp Newspapers of the Civilian Conservation Corps, 1933-1942 by Alfred Emile Cornebise, reports in its first year of existence there were 417 deaths -- 69 of which were work-related. Because of the young age of many of the men, a significant number of deaths were caused by vehicle accidents and speeding. Eventually government-owned vehicles were equipped with governors to control the maximum speed of the cars and trucks. F160 – Cleveland National Forest – Pine Valley, San Diego County. Unlike the camps in Region 1 where Idaho was, Region 5 camps typically were not affected by winter weather. 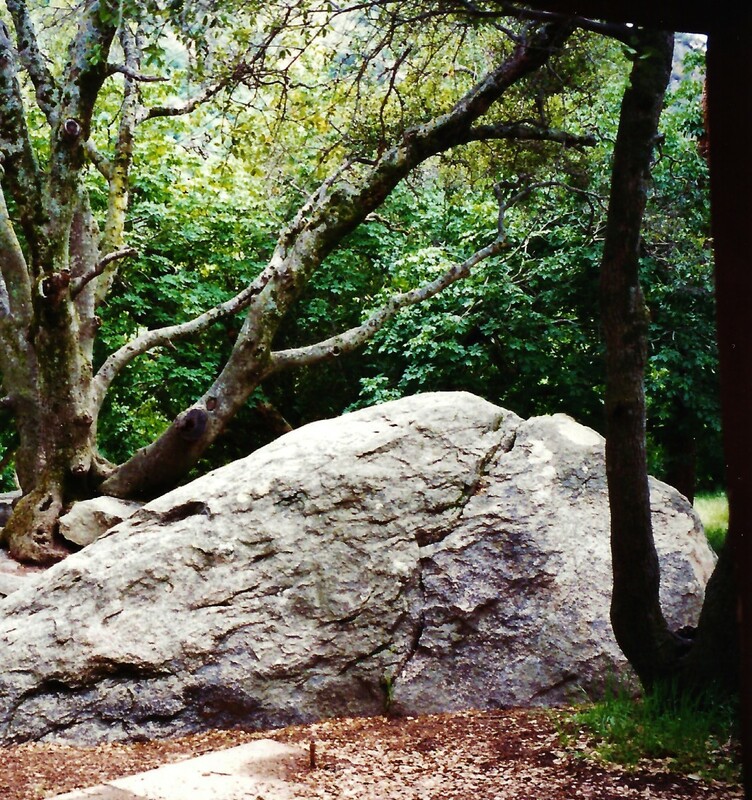 During the era Lewis would have participated in the CCC in California, there were 37 camps operating in l5 forests. F151 – Coeur d’Alene National Forest – Prichard, Shoshone County. Located in Region 1, this camp was one of eight operating camps in this Idaho's National Forest. Similar to what occurred in most forests through the country, the camp workers built lookout towers, guard stations, ranger station compounds, and recreational structures. It was at this camp, Lewis was killed in an accident.